When Unen Anchin contracted with the Vazra to construct the Labyrinth of Souls he stationed many adepts throughout the cave to monitor their work. The aether in the cave was thick and full on account of the Fox Warren within. So many spirits in one place calls the aether to it like metal to a magnate. Three Vazra entered the center of the chamber: one in red robes, another in blue, and the last in black. The color of the Vazra's robes may or may not have anything to with the arts they practice or if it is a mere whim, but none of the white clad specters entered the cave. Their rite began with a red robed Vazra lighting a stone brazer in the shape of a dragon's head with flames gathered from the great wyrm Galyn Surgalt. As the red Vazra gathered the aether above the flame, a black robed Vazra chanted a Bibliothecary incantation for secrets to be revealed. Twenty-four Vazra in total wove their enchantments into the stone of the cave. Noble metals of ever type were brought into the cave and wrought into the mechanism at the heart of the labyrinth. Kitsune, tanuki, and all manner of spirit and yokai entered and left the cave in the six days it took them to build their magical wonder. Some believe they added their magic to the construction, while others think they simply looked about to see what the Vazra were doing. In the end, only the Vazra know for sure, and they refuse to share their knowledge with any so none my devise a method to circumvent their discernment. Other than the magic to read the hearts, minds, and spirits of the students, the labyrinth has produced the weapons and magical implements they would need to pursue their education. Something of the artificer's art must be built into the labyrinth for it to manufacture the equipment it leaves to those who find them. Many who spent time in the labyrinth claim that it spoke to them in their dreams. While many of these stories are undoubtably apocryphal, the idea that the labyrinth is alive persists. Some have even claimed to see it wander the warren in the form of a ghostly blue lady. In time, we many learn what secret arts produce such wonders. Until then, our pale speculations will have to suffice. When Padishah Dakhin Torokh commissioned the construction of Sunsuulyn Academy in 773 ME, Unen Anchin, the school's first Grandmaster, knew they needed a way to quickly discern the calling of the new students so imperial funds weren't wasted instructing in all twelve branches of magic until a student's natural talent and temperament revealed themselves. Arriving on the Mount Atma, Unen discovered a Kitsune Fox Warren running between the Mt Atma and Mt Ulaan. He humbly invited the spirits of the Warren to aid in the task. The Vazra agreed to help. They constructed a labyrinth infused with the essence of each of the aetheric arts. One by one, students would enter, and the labyrinth read their soul as they walked down the passage into the first room. It would then configure itself for each student with a series of tests designed to test their aptitude for the arts best suited to them. It was a controversial decision to allow the Vazra to have so much influence over each new class, but in the debates between the original faculty, no valid reason was ever given for why they shouldn't take them up on their offer. Twenty-four Vazra built the labyrinth in six days. The Grandmaster and the original faculty were the first to walk the labyrinth. Each completed in a different amount of time. Only the Vazra know the mechanisms at work with the labyrinth, and continue to maintain it to this day. Many have theorized about the true nature of the structure. Some believe it is a series of rooms, one for each student, that morph and change as the tests progress. Others believe it is a portal to construct in the netherworld where the tests are conducted. Various sages have attempted to test their theories, but none found evidence to prove or disprove their ideas. The Labyrinth of Souls is one of the true marvels of the magical world, and regardless of how it was constructed or how it determines the tests, the resulting proficiency of the adepts who passed through it cannot be doubted. 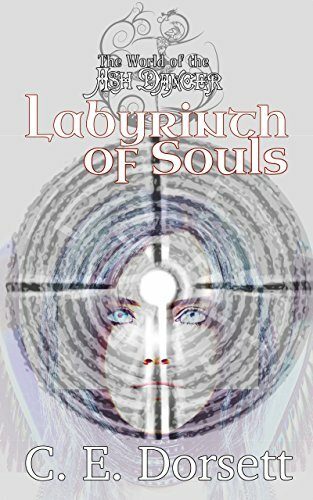 Join Raih and Jodhaa on their journey through the Labyrinth of Souls as it tests a new class of Sunsuulyn students. What mysteries await in the first novella in the World of the Ash Dancer?